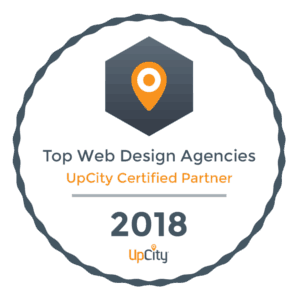 Partner with our award winning digital marketing agency that has proven to deliver results to customers through stunning Web Design, SEO, and Social Media Marketing. Your website is your online welcome mat. Does yours leave a lasting impression? Small local businesses have specific SEO needs. Do you want to hire a local SEO specialist? Design without conversion and sales lacks value. Are you looking to grow your business? Links from authority sites matter to Google. How authoritative are you links? Want real, effective engagement that leads to more traffic to your site and service requests? Do you need targeted paid advertising to generate immediate sales? We’ve noticed that most companies are looking for reliable, trustworthy solutions to their web design and digital marketing because they’ve been burned by past agencies. We have a clear track record of providing maximum conversion results in a variety of markets while maintaining the excellent customer care for our clients. We’re often asked, why should companies choose us over one of the many other digital marketing agencies? Our answer is simple: Nickel SEO’s focus is to drive traffic through a beautifully crafted web design that is backed with a fully holistic approach to SEO, laser-targeted advertising, trust-defined reputation management, and effective engagement with customers across multiple social media channels in order to maximize conversions. Marketing strategies tailored to your specific business. There’s no one size fits all in business or marketing and we implement our marketing strategies to fit your needs. We research and discuss your key audiences to strategize how best to present your products and services in order to turn growing traffic into paying customers. We put together clear and easy to understand reports so that you can quickly see the results that matter to you. You deserve a team that’s available to provide for your company’s growth and success! Benjamin was great. He helped with my website and marketing. Couldn’t be happier. Benjamin did a wonderful job on my website design and helping me with the maintenance and the SEO as well! Benjamin created a magnificent and professional website for my company. Nickel SEO did a fantastic job building my site, I am very pleased thank you Benjamin. He is brilliant, fast, effective and his follow-through is better than anyone I’ve ever worked with. Amy Applebaum, Amy Applebaum Inc.
Nickel SEO had done a fantastic job for our organization. I have had the most wonderful results with Benjamin and his team at Nickel SEO marketing services.